We met Lorna when she joined our Ignite workshop in January. She shared her story of leaving the corporate world and following her passion to cook. I was mesmerised by her personality and wowed by her cooking (she brought along a huge pot of delicious spicy parsnip soup and sweet potato salad to the workshop!) in fact come to think of it food has been a feature at each of our meetings. 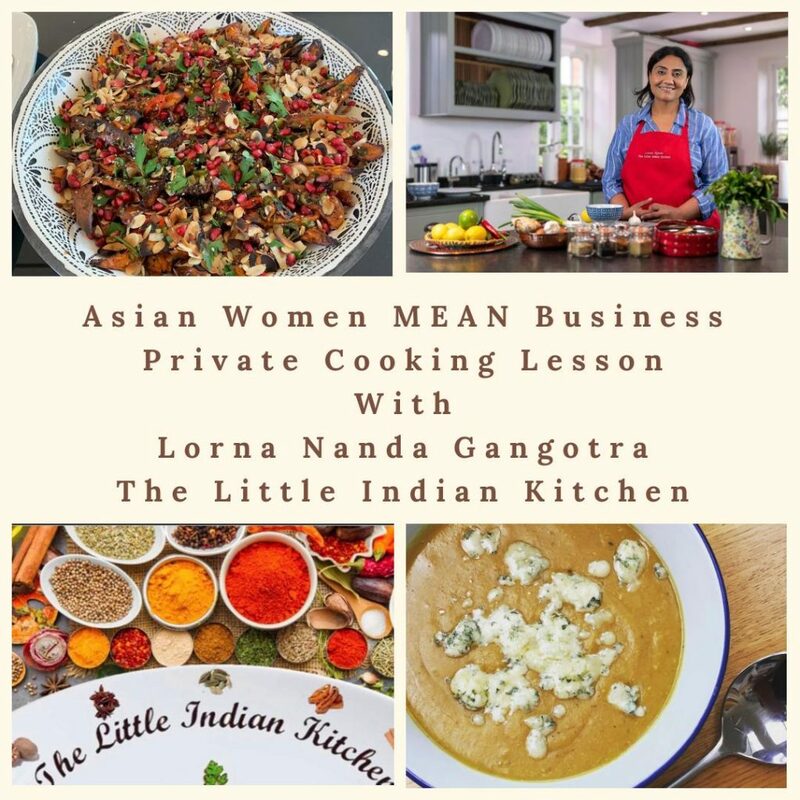 We booked a private lesson with her for 3 of us to really explore more versatile vegetarian recipes, I have found that I’m getting into a bit of a rut sticking to the same recipes. Amrit & Lois the other guests are meat eaters but also wanted to expand their repertoire of vegetarian cooking. A few weeks before the cooking lesson Lorna asked what kinds of ingredients we would like to use and developed a menu incorporating all our feedback and suggestions. 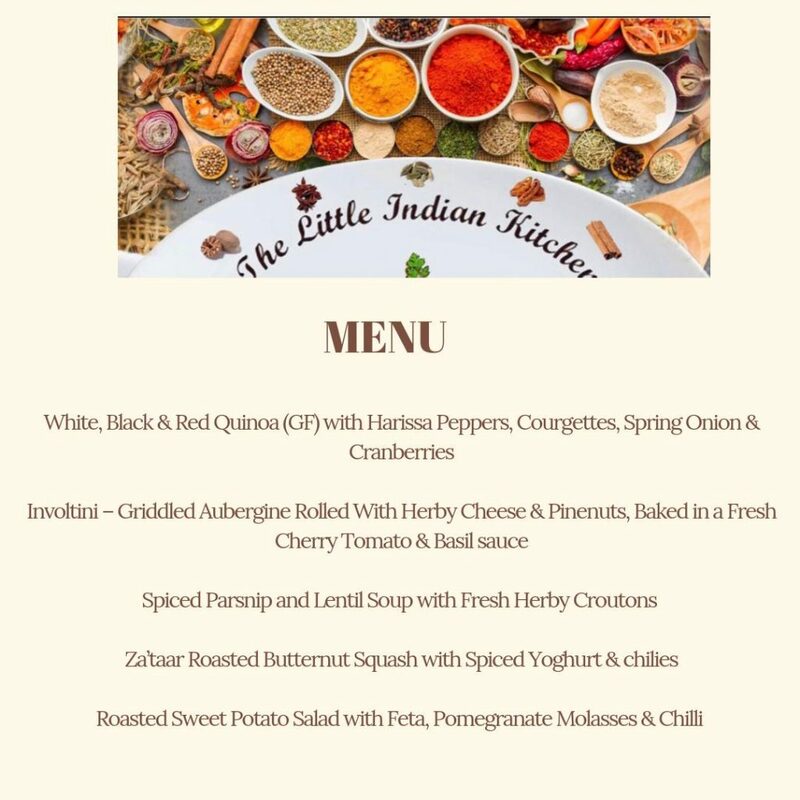 She really took the lead and used this as an opportunity to develop a menu that included ingredients, spices and herbs we wouldn’t normally use and possibly be intimated by…I know, who thought Za’tar & aubergines could be intimidating?! We decided to go for a mixed menu with Eastern influences but not an Indian menu. We wanted something we could make at home for our family, or for guests, something that would challenge our creativity and mindset around what’s possible with food. The day started with Lorna rocking up at my home half an hour before the lesson with literally all the contents of her kitchen apart from the sink! She brings with her all the utensils, pots, pans, trays – everything that would be needed to conjure up our wonderful menu, she also brought all the ingredients, fresh vegetables, spices, fresh herbs (some from her garden), a range of condiments – basically everything we needed. She leaves nothing to chance and is fully prepared. 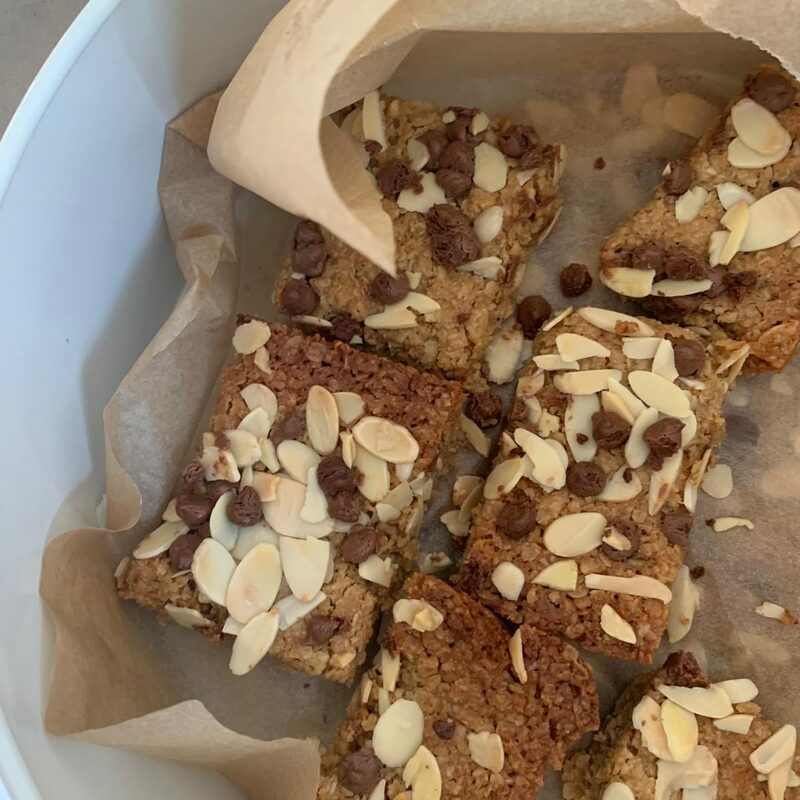 Before we actually cooked we sat down with a cuppa and her homemade flapjacks (so divine…my daughter actually insisted she leave them for us at the end of the day!) Lorna had arranged all her beautifully decanted spices on the dining table and talked us through each one. Their properties, when they can be used and what dishes work well with each spice. She also brought fresh turmeric & herbs that she encouraged us to smell, touch and get familiar with. She then went through the menu and explained each dish we would be cooking. We were set up on workstations each doing a task and following a recipe card that she had brought with her (a laminated copy to follow as we cook and others for us to keep). 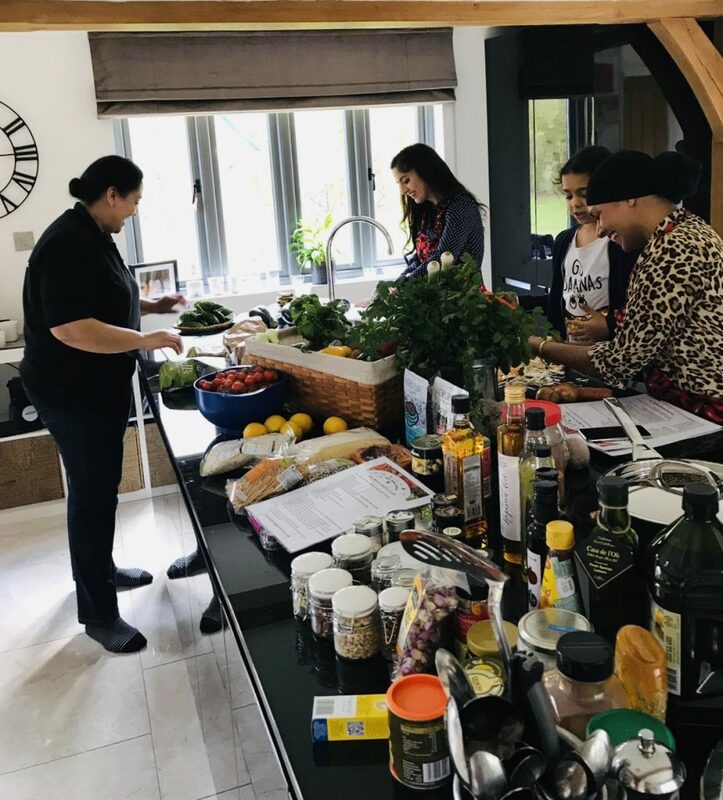 She guided, coached and inspired us to follow the recipe so we could gain confidence in putting together these delicious recipes. The result was a half day of fun, cooking, laughing, emotions and joy. The lesson was a moment of real connection for us all. My children were at home that day and that didn’t phase Lorna at all – she gave my 7 year old tasks to do and got her involved, chased after the baby when she needed to and even when the oven went kaput half way throug the lesson (true story!) she remained calm and improvised. ‘Like her food, Lorna is intelligent, ambitious, comforting and passionate. Her dishes show her broad knowledge and love of food. 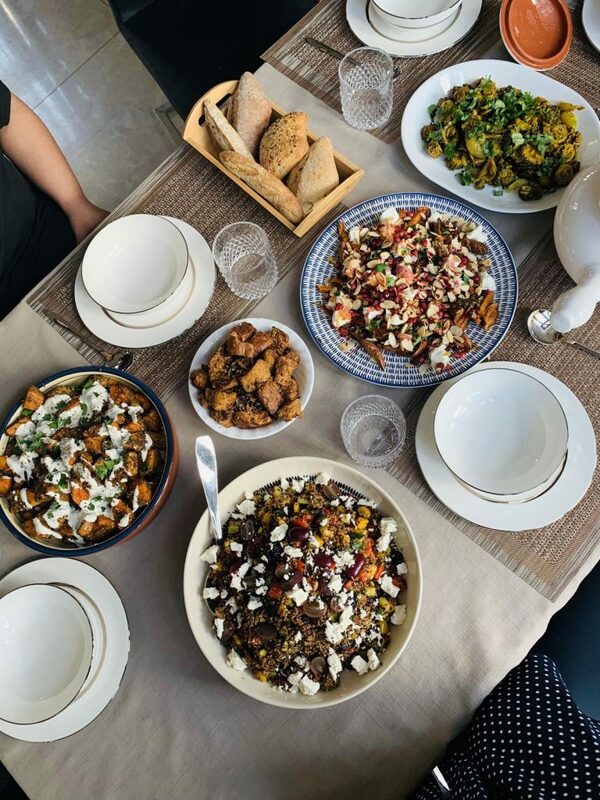 She mixes traditional Indian food, passed down to her from her mother and grandmother, with Italian, Middle Eastern and Mediterranean cuisine, to produce colourful, nutritious and exciting dishes. ‘I said yes to the cookery class because I wanted to learn how to cook more healthily, possibly adopt some new culinary skills and I am a foodie. I thought I would enjoy the overall experience with friends. However, I underestimated how much I would actually take away from Lorna teaching us. Firstly, Lorna arrives with everything; beautiful fresh produce, a delicious menu prepared according to what we had said we’d like to try, and every spice and herb imaginable. Her pots, pans and utensils will also make you want to go kitchen ware shopping immediately. Everything is so well taken care of and presented by Lorna that you are excited to start cooking. 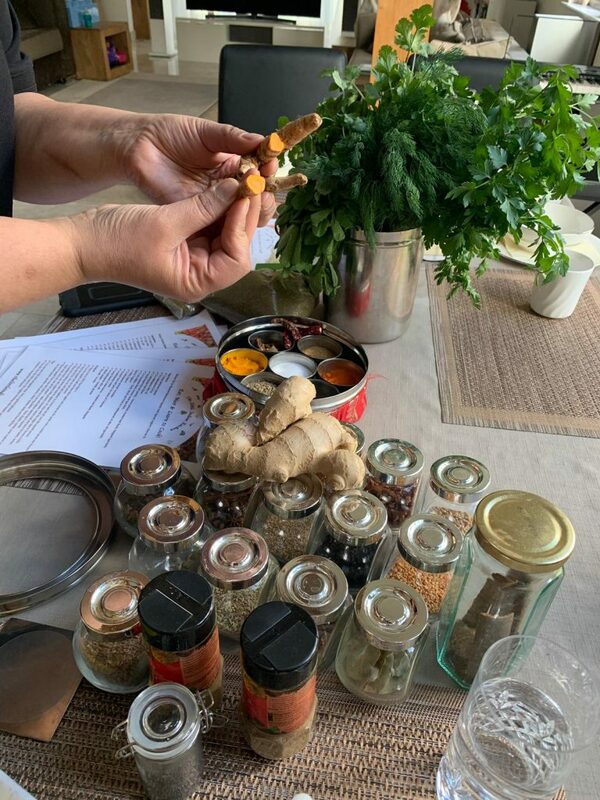 We went through what the day would be like, and what I did not expect (and loved) was Lorna going through the history of certain spices and ingredients we would be using. She asked each of us what our childhood food memory was, a dish that we held close to our hearts growing up. It was so lovely to hear what we all had to say. Each of us got transported to another time. It made me think about my favourite dish – sholay and puris (chickpeas and small fried chappatis). I recalled how I referred to the dish when I was little as ‘asli atta’ – the brand name of the chappati flour. My grandma to this day will refer to the dish as ‘asli atta’, whenever she makes puris. Plus I realised it was not just the dish that I loved, it was the experience of seeing the large wok on the stove, my grandma and mum talking to me whilst preparing them, and the smell of puris being fried. It feels warm, nostalgic and comforting. Throughout the day I was reminded, food is not just about filling our stomachs, the stories we hold dear, and how food connects us, is just as valuable and memorable. 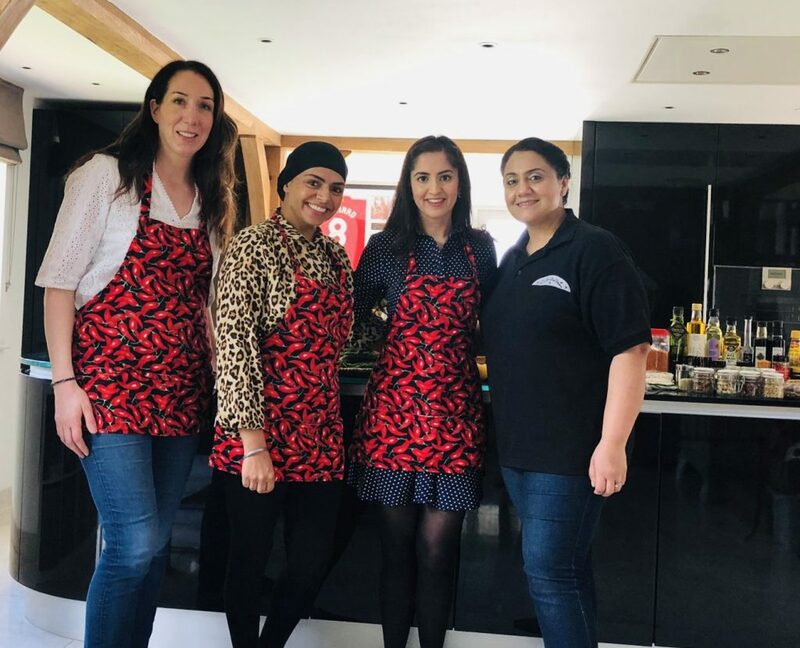 We all donned our red chilli print aprons (courtesy of Lorna too), and were shown how to prep all of the vegetables and spices. We all supported each other in our individual tasks. Preparing aubergine, bitter gourd and squash does not scare me now. Lorna made each of us feel at ease, and we all just laughed and talked throughout the preparation of each dish. We were shown how to make the most delicious tomato sauce for the Involtini dish – honestly that sauce will now be my staple pasta sauce. Quinoa is also no longer a plain and boring side dish. Ours was filled with colourful peppers, courgette, cranberries and rich flavour. I also never really appreciated soup; however Lorna showed us how to make spiced parsnip and lentil soup with herby croutons – that has made me a believer in soups. I know it is a cliché, however the time flew by. Everything we created together looked so vibrant and beautiful. We all sat and enjoyed our five dishes. It looked like an exquisite restaurant spread, all whilst sitting comfortably around a dining room table. I couldn’t actually believe that I had helped create such a wonderful hearty meal. 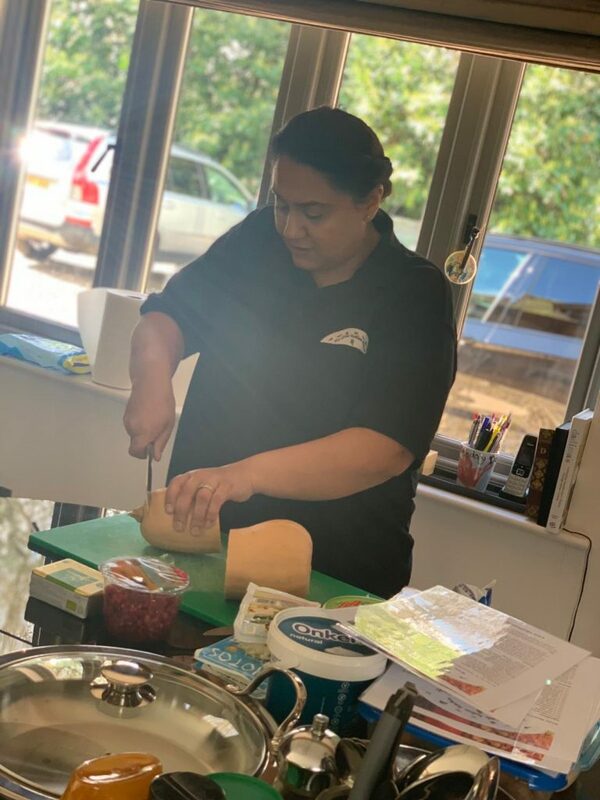 I would have thought such dishes are time consuming and complex to make, however Lorna showed each of us how the process of cooking can be simplified and enjoyed. So there you have it, a magical day filled with cooking, learning, eating and talking. Lorna is a true professional, warm, engaging and her passion was contagious. She has inspired us to cook with a wide variety of ingredients, to explore and have fun with cooking! Mission complete!